The first Turin Brakes album ever, nominated for the famous Mercury Prize (2001). Released as 12 INCH and CD. Also released in Australia on 6 August 2001 on EMI Records (5306962). The Optimist LP strolled into the UK top 40 album chart comfortably, hitting its high point of 27 on the week of release. From start to finish its a breathtaking collection of songs that have such purity and beauty that you almost feel Olly & Gale could literally jump out of the CD player and be playing live wherever you are. 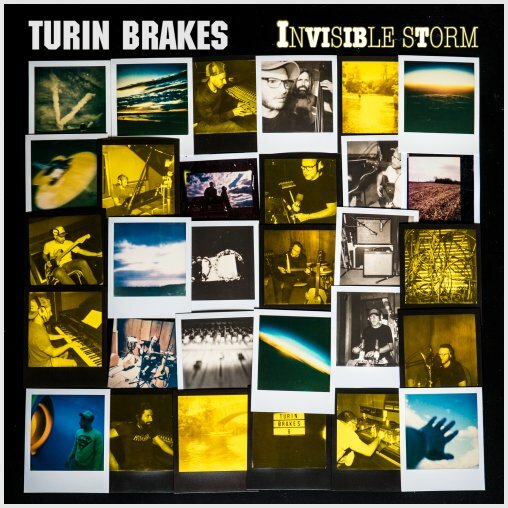 From the very first piano note of “Feeling Oblivion” there’s a clear intention that Turin Brakes want to soothe you, give you a small piece of their world and what lies in it. Songs which almost paint a picture of life itself, full of heartache and what might have been – but their is more to it than its bare simplicity. The Optimist LP was constructed with a fair amount of confusion. Not within its creation and recording process, but each song isn’t intended to be about “anyone” specifically, its origins stemming from a period in Olly’s life after graduating of being “lost”, a feeling of going nowhere, wondering what life might bring. That is why this collection is titled “The Optimist LP”.